One of the more challenging aspects of taking on a new home remodeling project is starting it the right way. More specifically, it means enlisting the help of the best home remodeling company for the job. One of the easiest ways to find the right home remodeling company is to get referrals from your family, neighbors, and friends. If you do not know anyone that has recently had home remodeling work done, we suggest conducting careful online research. Websites such as Houzz can be a goldmine of information. Any home remodeling company can claim customer satisfaction, but not every company has the client testimonials to prove it. Before you reach out to a Scottsdale home remodeling company, check out their online reviews. Select a home remodeling company with numerous reviews posted on their site, so you know they repeatedly deserve customer satisfaction. Never base your research off of ratings alone. Always carefully read the reviews. This approach will give you a better sense of the remodeling company’s work ethic and strengths, and it will also provide you with peace of mind before contacting them. There is a reason that everyday expressions, such as “a picture is worth a thousand words” stick around, especially in the world of remodeling. Once you have found a remodeling company that appears to have a solid reputation, review their before & after photo gallery to assess the quality of their work. This approach is also a great way to gather ideas and inspiration for your remodeling project. Before you contact any company, compile a list of your top priorities for your home remodeling project. Be sure to have an answer to “why you want the remodel” and can confidently share with prospective contractors what you want to gain from the result. You also need to determine in advance what you are looking for in the company you eventually decide to hire. For example, do you want to be involved in every step throughout the entire remodeling process, or would you rather share your goals and remain behind the scenes during the nitty-gritty portions of the project? Once you have discovered several remodeling companies that you feel may fit your needs, it is time to start interviewing them. You can gather a lot of valuable facts about a remodeling company by merely gauging how attentive its team members are to your needs and how they answer your questions. Remember to discuss essential topics like experience, previous work, liability coverage, and labor costs. While no one can predict a disaster, you can surely do your best to prevent a home remodeling nightmare. For instance, a home remodeling company that offers you an incredibly low starting bid for your project may be cutting costs with by using low-quality materials. Unfortunately, in this type of situation, the money you save will eventually end up going towards additional repairs. Also, veer away from home remodeling contractors that do not have a physical business address or demand payment upfront. These red flags are signs of a home remodeling company that may be looking to deceive unknowing homeowners. Once you get a feel for each of the remodeling contractors on your list, it is officially time to narrow them down. When you settle on a company that you would like to work with on your project, be sure to discuss your expectations and how much costs are upfront. After you agree to the project’s terms and conditions, always request them spelled out in a written contract that you can refer to later on in case trouble should arise. Do Your Homework, Give Us a Call! 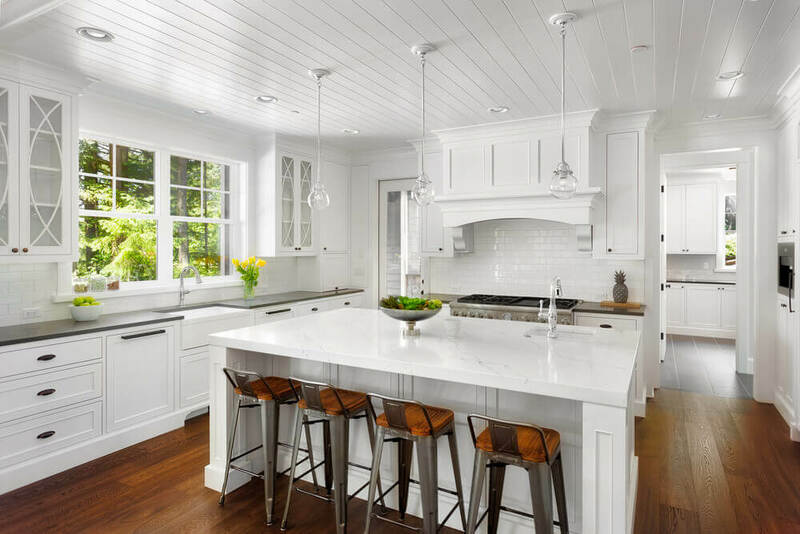 Our team of professionals at Republic West Remodeling has created, through years of experience and a passion for excellence, a custom remodeling process that strives to deliver a caring, respectful experience to our clients. Call us at (480) 428-2695 to schedule a complimentary consultation today.